Spots for a perfection vacation from Bangalore are plenty. But nothing can beat the perfect vacation to Kerala. I hope to visit Kerala every year and spend more than a week. My ideal Kerala itinerary (built on my past experience) would be something like below. There are plenty of options to travel from Bangalore. But given that I want to focus on enjoying the beauty in an economical budget, I mostly prefer the AC buses (nickname “Airavat”) of Karnataka government. 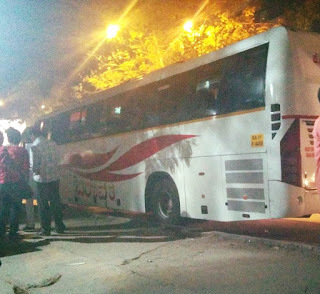 Start from Bangalore on KSRTC bus and arrive at Kochi. There are many options and flexible time slot. The overnight journey cannot kill my excitement for travel in gods owns country. Arrange the tour guide to pick up from Kochi bus station and ensure that they provide a package till end of Kerala trip. In the last Kerala package that I took, accommodation along with one car+driver was arranged. Once in Kerala, why miss the authentic Kerala cuisine. Start the day with the mouth-watering cuisine. Make sure the stomach is not so full that you cannot explore the scenic spots of Kochi. Limit the spots since the drive to Munnar should be done before late nightfall. Attractions can be chosen from the following list: Chinese fishing nets, Folklore Museum, Mattancherry Palace, Hill Palace of Tripunithura, cruise etc. Munnar has many attractions apart from the famous tea garden, national park etc. Start the journey from Munnar to Thekkady mostly in the morning. On the way you can stop at any tea gardens of Munnar if you wish to take some more great shots. The 115km journey goes through beautiful lush spice gardens of Kerala. Next day at 4am book a jeep for a ride through the greenery of tiger reserve. We could hardly see any animals during our last visit but we were mind blown by the greenery. Post the beautiful exploration of Thekkady, it’s time to start moving towards Venice of India – “Alleppey”. 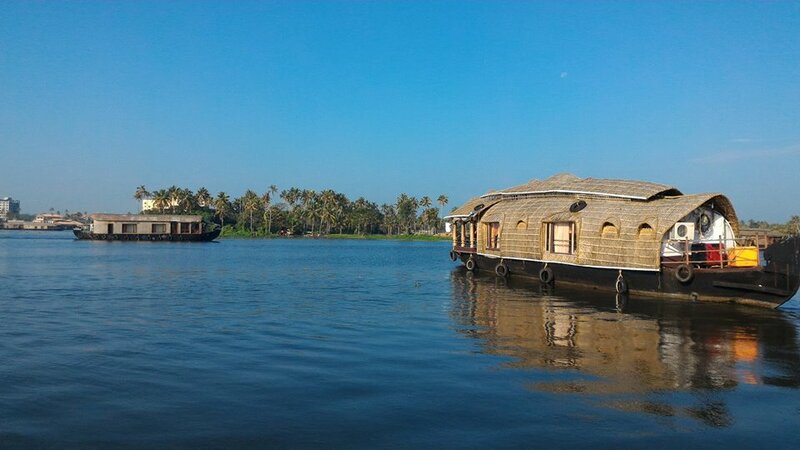 After 3-4 hours, reach Alleppey and camp with luggage in a single bedroom Kerala Style Traditional House Boat. 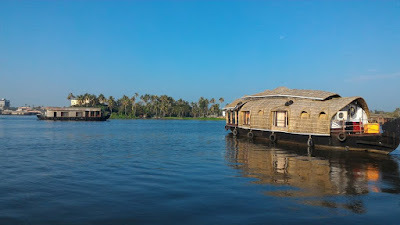 In the boat, apart from great hospitality enjoy the full one day travel through the Kerala backwaters. It is just amazing. In last visits, I along with my friends hardly slept and spent our whole day/night glancing through the great backwaters. One suggestion is that you can skip the food on the beach since it is very costly. But being a fish eater from goa, I have some incentive to ignore delicious fresh fish. If you are not a budget traveler, then there are plenty of sea foods available on the beach. Early in the morning start from Kovalam towards backwaters of Poovar. This place offers an amazing 3 hour boat ride. During last visit we got a deal since we bought the ticket online. Post the visit; you can visit some of the famous attractions of Trivandrum like zoo or temple. For shopping freaks, Trivandrum has many options. Seven days will pass like a wind. Only sweet memories remain. Do not miss the Kerala halwa before you start journey towards home. There are plenty of options for tour operator in Kerala. Private taxi to go around Kerala will be a good option since it will save lot of time. Be aware that in the above itinerary the temperature keeps on increasing as you start coming down from Munnar to Trivandrum. If you wish to know details about the tour operator i used or different hotels i have stayed in past Kerala visit, then do leave a comment below.